SANTA BARBARA UNIFIED SCHOOL DISTRICT. Administrative Law Judge (ALJ) Rebecca Freie, from the Office of Administrative Hearings (OAH), State of California, heard this matter on October 15 through 18, and 22 through 25, 2012, in Santa Barbara, California. The last two days of hearing were conducted telephonically on November 14 and 19, 2012. Attorney Andrea Marcus represented Student. She was assisted by paralegal Anne Zachry for several days of the hearing. Parent was present for the first day of hearing, and present for partial days for the remainder of the hearing, with the exception of one day when she was absent. 1 Student did not attend the hearing. 2 This is Ms. Escobedo’s first year as Director of Special Education for the District. She has a bachelor’s degree from the University of California at Santa Barbara (UCSB) in sociology, and a master’s degree in educational administration from California Lutheran University. She has a clear education specialist credential, mild to moderate, and a clear administrative services credential. She has worked in education since 1995, and was a special education teacher for eight years. 3 For the record, Student’s closing argument is designated as Student’s Exhibit S-49, and the District’s closing argument is designated as District’s Exhibit D-40. 4 The issues have been slightly reworded from the Order Following the Prehearing conference for clarity. No substantive changes have been made. 5 Although Student argues that the District should have assessed Student even sooner than August 17, 2010, the complaint did not contain any allegations to support a waiver of the two-year statute of limitations for filing a due process request, nor was any evidence in this regard produced during the hearing. However, the analysis of this issue focuses on what the District knew or should have known on or after August 17, 2010, as this begins the time period when Student alleges that he was denied a FAPE. 6 Although Student contested the timeliness of the assessment in the complaint, this issue was subsequently withdrawn, and he did not contest the timeliness of the assessment at the due process hearing or in his closing argument. 1. From August 17, 2010, to September 22, 2011, did the District deny Student a free appropriate public education (FAPE) by failing to find Student eligible for special education and related services? 2. Was the District’s individualized education program (IEP) team meeting and resultant offer of August 14, 2012, a denial of a FAPE as it prevented meaningful parental participation by making a “take-it-or-leave-it” offer of placement? Student claims that the District ignored his multiple disabilities in the areas of emotional disturbance (ED), attention deficit hyperactivity disorder (ADHD), and a specific learning disability (SLD) for many years. Although he was assessed for special education in 2004, the IEP team did not find him eligible. Student alleges that the District should have subsequently referred him for a special education assessment no later than August 17, 2010, when he was attending Santa Barbara Junior High School (SBJHS), and failing to do so violated its child find obligations. 5 Instead, he claims, the District relied on general education interventions during the 2010-2011 school year (SY) which were ineffective, and the District only agreed to assess him after Parent made a written request for a special education assessment on April 27, 2011. He was not assessed until September 2011, and then found eligible for special education and services on September 22, 2011. 6 As a result, Student argues that he was denied a FAPE from August 17, 2010 to September 22, 2011. Student also claims that the District predetermined its offer of placement at Santa Barbara High School (SBHS) at an IEP team meeting on August 14, 2012, when placement for the 2012-2013 SY was to be decided. Student contends that the District’s offer, made at the end of that IEP team meeting, was predetermined and constituted a “take it or leave it” offer, and as a result, Parent was denied meaningful participation at the IEP team meeting, and thus Student was denied a FAPE. The District claims that it did not fail to meet its child find obligation before or during the 2010-2011 SY because it had no reason to suspect that Student was disabled, and even if it had, it was required to utilize general education interventions before it referred him for an assessment to determine if he was eligible for special education. The District argues that it met its child find obligations by making information available to parents via the District and special education local area plan’s (SELPA) websites, placing an annual notice in the local newspaper, and providing parents with information when students are enrolled in the District, and register each year when they are at SBJHS. The District also argues that the Individuals with Disabilities Education Act (IDEA) does not require it to train teachers and staff about child find, how to determine if a child might be suspected of having a disability, and what to do if one does have such a suspicion. The District claims that it did not have an obligation to refer Student for a special education assessment until Parent requested one on April 27, 2011. The District further argues that it did not predetermine Student’s placement prior to the August 14, 2012 IEP team meeting, and thus did not prevent Parent from meaningfully participating in that meeting. There were no meetings or discussions involving District participants regarding Student’s placement prior to that IEP team meeting. Further, Parent and Student, as well as Student’s attorney who attended the IEP team meeting, were active participants at that meeting, and many of their suggestions were incorporated into the subsequent IEP offer. 1. Student is presently 16 years of age and has resided with Parent within the boundaries of the District for most of his life, and attended District schools until the middle of the 2011-2012 SY. Parent is a public school teacher. 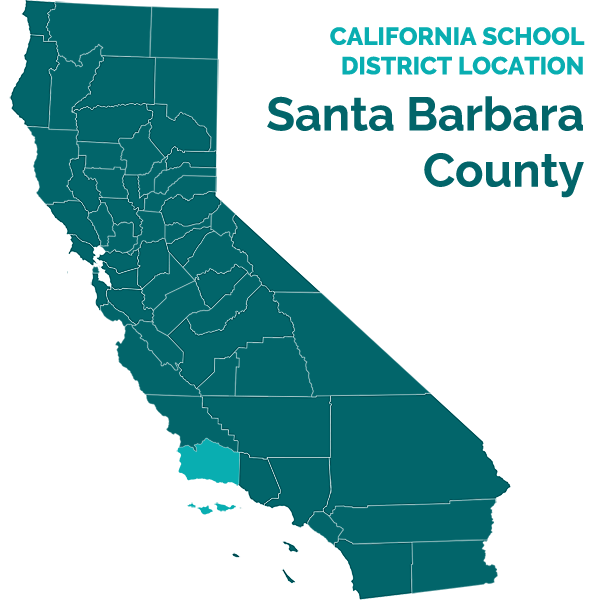 During the course of the due process hearing Student resumed attendance at a District high school, following several months of placement at a school operated by the Santa Barbara County Education Office (CEO). Student was found eligible for special education on September 22, 2011. 2. Student was born addicted to heroin and was placed with Parent at the age of three months. In 2004 the District assessed him for special education and he was medically diagnosed with ADHD at about this time. The assessor found that he might be eligible for special education because he had ADHD, and a possible ED. However, when the IEP team, including Parent, met to review the assessment the team determined that Student was not eligible at all for special education. As will be explained further below, it was unclear why the IEP team did not find Student eligible for special education under the category of other health impaired (OHI), the eligibility category for most Students with ADHD, and why he was not found eligible as a child with ED. 3. When a student is suspected of having a disability a school district is obligated to have him assessed to determine whether he is eligible for special education. School districts are required to have in place a system of informing parents and the community that special education is available to children who are district residents and qualify for those services, and to inform them that children who are suspected of having a disability can be assessed by the district. Districts are also required to actively and systematically seek out students who may be disabled in order to determine whether they require special education and related services. A student can be referred for a special education by a parent, teacher, or any other interested party. 4. The process of identifying a student suspected of having a disability is called child find. Failure of a school district to engage in appropriate child find activities is a procedural violation. 5. A procedural violation results in denial of a FAPE only if it impedes the child’s right to a FAPE, significantly impedes the parents’ opportunity to participate in the decision-making process regarding the provision of a FAPE to the child, or it causes a deprivation of educational benefits. 7 The intervention pyramids described are those in effect for the 2010-2011 SY. However, based on the testimony of witnesses it is believed that intervention pyramids still exist and are used at SBJHS. 8 SST is sometimes referred to as “student support team.” On the pyramid it was labeled as “SST II,” but it was explained that another less formal intervention, the “Early Intervention Team” (EIT) meeting which included parents and teachers was also referred to as SST I. 7. The academic pyramid of intervention (academic pyramid) contained four levels. The base of the pyramid was applicable to all students, and was called the prevention level. It listed strategies and programs designed to prevent all students from struggling academically. The second level of the pyramid was called “Early Intervention,” and described early intervention strategies and programs. These were the initial general education strategies for the 25 percent of students who showed signs of having academic problems that were not being addressed at the prevention level. Included at this level were math and English language arts (ELA) after-school intervention programs. 8. “Mandatorial” was one of the programs listed in the early intervention section of the academic pyramid. This was a program where students who were behind in completing homework would eat early lunch and then go to a classroom staffed by a credentialed general education teacher with the possible assistance of student teachers. In this classroom the students were expected to work on homework, with the assistance of the teacher or student teacher if necessary. Once the student was caught up on homework, often after just a week of participation, Mandatorial ended. However, some students were in Mandatorial for several weeks, and some were assigned to “permanent” Mandatorial, which was the at the next intervention level of the pyramid. Failure to attend Mandatorial could result in detention. 9. The next level of the academic pyramid was called “Strategic Interventions,” and was generally applied to five to 15 percent of the students at SBJHS. It contained additional strategies and services that included referral for a student study team (SST) meeting. 8 At SBJHS, these meetings were generally attended by one or more administrators, a counselor, two teachers who received a stipend for being part of the team, a school psychologist, the student, the student’s parent, and any teachers of the student who might choose to attend. 10. At the top of the academic pyramid, applicable to only one to five percent of the students at SBJHS, was enrollment in elective classes called Reconnecting Youth (RY), and Core. Another intervention at the top of the academic pyramid was revoking the District’s consent to allow a student from another school district to attend SBJHS. 11. The behavior intervention pyramid (behavior pyramid) was similar to the academic pyramid with “Prevention” at the base of the pyramid, “Early Intervention” was the next category, and “Strategic Intervention” was above that. The top section of the pyramid, was not titled. The percentages of students affected at each level were the same as on the academic pyramid. 12. At the strategic intervention level of the behavior pyramid, applicable to five to 15 percent of students, were SST II, Core, home or class suspension, teen court, and work detail. At the top of the pyramid were interventions such as contacting the safety resource officer, identifying a drug education/treatment program, involuntary transfer and expulsion. 9 At the time, STAR testing was the name of California’s state-wide system of academic testing for students in public schools in grades two through 11. It is now called the California Standards Test (CST). 14. Also concerning were Student’s seventh grade report card marks in the areas of citizenship and work habits. The first semester of seventh grade, Student’s grades in both areas were “S” for satisfactory, with the exception of social studies where his grades in both areas were “O” for outstanding, the highest mark available. For the second semester, he had “S” marks in citizenship in all classes except social studies and pre-algebra, where those marks had fallen to “U” for unsatisfactory, the lowest mark available. In the area of work habits for the second semester, Student again had U’s in pre-algebra and social studies. In general science and advisory, he had marks of “N” for needs improvement, and S’s in the two remaining subjects. 15. Due to Student’s deteriorating grades and behavior, the District decided before the end of the 2009-2010 SY that Student would be enrolled in Core and RY for his eighth grade year. Both classes were considered to be elective general education interventions for struggling students, and at the very top of the academic pyramid. There was no evidence that the District, in fashioning Student’s program for his eighth grade year, inquired whether Student needed special education. This is especially concerning because part of the District’s records included the 2004 assessment. 16. Student was enrolled in Core and RY. Core was a class for students who were considered to be at risk for gang affiliation, and who might be struggling academically or socially. Many were considered to have behavioral issues. Core was a place where these students were assisted with homework and organization, and were encouraged to talk about things that were bothering them. In addition, the students went on fieldtrips, called “adventures,” such as going to the beach where they might learn how to surfboard or kayak. 17. The RY class was a set curriculum to help students manage stress, develop healthy relationships and self-esteem, and if necessary it also addressed drug and alcohol use. Both classes were at the very top level of the academic pyramid, and Core was at the second to top level of the behavior pyramid. 10 Student’s discipline records were admitted as part of the evidence. Although specific instances were not testified to by witnesses, the record itself is referred to because this was information available to school personnel at all times pertinent to this decision. 11 None of Student’s truancies for the 2010-2011 SY were from classes. Rather they were from intervention programs such as Mandatorial, or other disciplinary referrals such as detention or work detail. 19. Student was suspended from school for three days on September 14, 2010, after he jumped off the roof of the PE building in front of other students. On September 24 and 28, 2010, Student was disciplined for truancy from Mandatorial and intervention programs. 11 Student received a discipline referral on October 1, 2010, because he was found to be in possession of drawings alluding to marijuana use, and also violated school rules by using his phone to text in class. 20. On October 7, 2011, Student was disciplined for excessive tardiness. He was disciplined for truancy on October 11, 2010. On October 15, 2010, he was suspended for two days after calling a teacher an obscene name. Student was disciplined on October 20, 2010, because he failed to appear for detention, to which he had been sent because of another disciplinary incident. On November 4, 2010, Student was suspended for one day after he slammed another student into a wall. On November 15, 2010, Student was again disciplined for truancy. There was no evidence that, during this period, the District considered whether Student’s struggles were related to a disability. 12 Ms. Chilton has a clear teaching credential, and has been a teacher since 1991. This is her fourth year at SBJHS as librarian. She taught at SBJHS for five previous years. 13 Ms. Kluss has a bachelor’s degree in zoology from the University of Hawaii, a clear multiple subject credential, and single subject credentials in biology, chemistry, geoscience and general science, as well as a math authorization. She did coursework for her original teaching credential at Chapman University. Ms. Kluss has been a teacher with the District for 12 years, all of them at SBJHS. 14 Ms. Bolton has been one of two assistant principals at SBJHS for the last seven years. She has a bachelor’s degree from UCSB, and a master’s degree. She obtained her elementary teaching credential in 1996 and has a clear, multiple subject teaching credential. Nine years ago Ms. Bolton received her administrative credential. She was in charge of SST meetings during the 2010-2011 SY. 15 Ms. Simmons has both a bachelor’s degree and master’s degree from UCSB. She has a clear teaching credential in history and social sciences, and a tier one administrative credential. For the 2010-2011 SY she was a Teacher on Special Assignment (TOSA) serving as the administrator of the intervention program at SBJHS. Both the ELA and math intervention programs, as well as Mandatorial were under her direction. She also administered other programs. 16 Ms. Hill has a bachelor’s degree in geology and a master’s degree in education from UCSB and clear teaching credentials in the areas of earth science, physics, and health, as well as supplemental authorization in math. She has been teaching as a credentialed teacher for nine years. She remembered Student from preschool where she had substituted, and implied that Student had behavioral issues even then. 17 Mr. Andrews did not testify, so his education and experience are unknown. 18 Mr. Fidel has a bachelor’s degree in zoology from UCSB, and completed his teacher credentialing classes at the University of California, Davis. He has completed over 30 post-graduate units, and other professional development classes. Mr. Fidel has a life science credential and a math credential. Both are clear. He has taught at junior high school level for 21 years, and this is his 13th year in the district. He is also a wrestling coach, the creator of Core, and the driving force behind the class. 19 Mr. LaShua received his bachelor’s degree in 2002 from UCSB, and his masters degree with a teaching credential from Azusa Pacific University. He has a clear teaching credential, and began as a substitute teacher for the District nine years ago. Mr. Lashua taught at a private school for two-and-a-half years, and the 2010-2011 SY was his first year at SBJHS. 20 Mr. Gover received his bachelor’s degree from California State University at Long Beach, and clear teaching credential in physical education. He has taught in the District for 20 years and coaches sports. 21 Ms. Hernandez, Mr. Stieren, and Ms. Bolton all testified. Ms. Hernandez has been a school psychologist with the District since 2006. She has a bachelor’s degree in psychology, and a master’s degree in school psychology. Ms. Hernandez has a Pupil Personnel Services (PPS) credential. Mr. Stieren received his bachelor’s degree from UCSB in 2003 in English and sociology. He worked as instructional aide at San Marcos High School in the District and began working on his special education credential at UCSB in 2005, completing that work in 2006. He then began working as a special education teacher for the District. For the 2009-2010 SY, he was the interim assistant principal when Ms. Bolton took a leave of absence. 22 These marking periods are shown on Student’s report cards as “1st MQP,” then “1st Qtr” and “2nd MQP,” and all occur before the final “1st Sem” grades. Based on the timing of the school year’s winter break, which began December 17, 2010, and ended January 3, 2011, it assumed that Student had received all of the reported grades prior to the December 15, 2010 SST meeting. 21. At some point in October 2010, Student was selected for an SST meeting set for November 17, 2010. Prior to an SST meeting, one of two teachers assigned to the SST, Kayleen Chilton, the school librarian, was responsible for distributing a form to each of the teachers of the student who was subject of the meeting. 12 The subject student’s teachers then completed the form which reported the student’s current grade in the class, as well as checking boxes that described characteristics of the student in the areas of grades and work habits, behavior, any physical symptoms, and any interventions that the teacher had tried to help him improve in these areas. There was also an area for written comments. 22. After the forms were collected, another teacher on the SST, Julie Kluss, summarized the information on the teacher forms on the SST form that was used for the meeting. 13 The assistant principal, July Bolton was in charge of the SST meeting. 14 She, the school psychologist, and the director of special education at SBJHS were the most active participants at an SST meeting. Although there was little direct evidence in this regard, it appeared that a student’s teachers rarely came to SST meetings. 24. Student’s science teacher, Nelli Hill, reported that academically Student was “[achieving] below potential;” he was “behind in assignments;” and had “incomplete assignments.” 16 Student was reported to “lack motivation.” His behavior was described as “inappropriate,” in science. He was reported to distract other students, and he was described as “easily distracted/inattentive.” Ms. Hill noted that he talked back to her, used obscene language, and engaged in “dramatic behavior,” by stapling himself. As interventions, Ms. Hill reported that she had frequently contacted Parent, changed his seating, and assigned him to detention. Student’s then current grade in the class was a D.
26. Student’s Core teacher, Marc Fidel also noted that Student had “incomplete assignments” and “[lacked] motivation.” 18 In the area of behavior he, like the other teachers, described Student as distracting others and also was distracted himself, and he engaged in “inappropriate responses/behavior.” Mr. Fidel also noted that Student seemed “lethargic.” Student was earning a C in Core. 28. Student’s PE teacher Edward Gover did not check any of the boxes on the form. His sole written comment was “Run him on a hamster wheel prior to school.” 20 Student had an A-in PE. 29. All of the check marks and comments, with the exception of Mr. Gover’s, were summarized on the SST reporting form under the heading, “Areas of Concern,” as were some of the previous interventions including his enrollment in RY and Core. However, none of the teachers suggested that Student be assessed for special education. Further, his participation in Mandatorial, and ELA and math intervention programs were not noted on the SST reporting form, nor his failures to attend these programs, and his disciplinary incidents. As will be discussed further in this Decision, because the SST did not have this additional information, it did not have the entire picture of how dismally Student was doing in school that year. 30. The SST meeting for Student scheduled for November 17, 2010, did not occur. There was no explanation as to why it did not occur when scheduled, although District witnesses intimated that probably it was because Student or Parent did not appear, or could not attend. However, the evidence did not establish this. 31. On December 7, 2010, Student was disciplined for defying authority. He failed to appear for trash pick-up detail (due to another disciplinary incident), and then lied by saying he had been working with a teacher at the time, when he had not. Student was disciplined on December 13, 2010, for truancy. 32. The first SST meeting for Student for the 2010-2011 SY occurred on December 15, 2010. In attendance were Student, Parent, Michael Stieren (SBJHS director of special education), Helen Hernandez (school psychologist), Ms. Kluss, Ms. Chilton, Katelyn McMeekin (Student’s counselor), and Ms. Bolton. 21 None of Student’s teachers attended. 33. With the exception of Ms. McMeekin, all of the District attendees at the December 15, 2010 SST meeting testified. However, none of these witnesses had any clear recollection as to what specifically occurred at that meeting; they could describe only what generally happened at such a meeting. Ms. Kluss testified that her role was to be a “witness.” It appeared that neither she nor Ms. Chilton were expected to be active participants in an SST meeting. Ms. Hernandez was supposed to review the subject student’s cumulative file before or at the SST meeting. 34. Student’s cumulative file would have contained copies of all of his report cards starting at kindergarten. In elementary school, Student’s teachers made comments on his report cards that referred to his high energy level, lack of focus and impulsivity. He repeated third grade at Parent’s request. However, Student received average to above average grades in elementary school for the most part. 35. The first semester was ending on January 14, 2011. There were three marking periods between the beginning of the 2010-2011 SY on August 23, 2010, and the end of the first semester. 22 Student’s grades were B’s for RY, F’s for science, an initial F and two D’s for pre-algebra, two C’s followed by an F for English, two A’s followed by a B in PE, and two B’s followed by a C+ in Core. 37. In addition to assessment results that clearly presented the picture of a child with ADHD, Student also appeared to meet the criteria for a child with ED based on the scores given to him by his teacher and Parent when they completed the Devereaux Behavior Rating Scale—School Form. A child whose total score exceeds 114 is “likely to meet the eligibility criteria for ED designation.” Student’s teacher’s total score was 137; Parent’s total score was 138. 38. Ms. Hernandez testified that she reviewed Student’s file for the December 15, 2010 SST meeting, and that she did recall seeing the 2004 evaluation either before or at the meeting. But neither Ms. Hernandez nor anyone else at the meeting, including Mr. Stieren, appeared to consider whether Student’s current difficulties were related to any disability he might have. 39. As discussed further below, although nothing in this Decision should be construed as finding that the District should have found Student eligible for special education in 2004, and the two year statute of limitations has not been extended to include claims prior to August 17, 2010, the information from the 2004 evaluation was part of Student’s educational record. This put the District on notice that he had previously been found to exhibit characteristics often found in children who have disabilities and require special education services, and this information should have caused the District to suspect that Student might have a disability which required assessment. 40. Some of the SST members had access to and ability to review Student’s disciplinary record which would have revealed the multiple disciplinary incidents in which he was involved from the beginning of the school year. However, there was no evidence that these records were reviewed prior to or during this SST meeting. 41. Although the District’s SST members had available to them all of the information concerning the general education interventions that had been tried with Student since the beginning of the 2010-2011 SY, it is unclear whether they availed themselves of this information. In terms of the academic pyramid, Student been participating in RY and Core, interventions at the top of the academic pyramid, since the beginning of the school year, and was clearly not making progress in spite of those interventions. He was also now in permanent Mandatorial, and still was not making progress. He was at the top of the tier of the behavior intervention pyramid, just short of expulsion or involuntary transfer to another school. 42. At the SST meeting on December 15, 2010, the team decided, with the concurrence of Parent, that she would seek counseling for Student and Ms. Hernandez gave her the name of an agency that could provide this. Parent was also to receive weekly progress reports and it was recommended that she shadow Student for all or part of a school day, referred to as a “Parent Visit Day.” Finally, it was recommended that there be a “follow-up” SST, although no date was assigned for this SST meeting. It does not appear that any of the District personnel who attended that SST meeting considered whether Student should be referred for a special education assessment, nor was there any discussion of such a step. 43. Parent arranged for Student to have the recommended counseling, although he only attended a few sessions. She had previously enrolled Student in an online tutoring program, although neither she nor Student found that program to be helpful. Parent did not do the Parent Visit Day because Student was vehemently opposed to her doing so. 44. Student ended the first semester of his eighth grade year with F’s in English, pre-algebra, and science; C’s in Core and PE; and a B-in RY. However, the evidence established that no one arranged for the follow-up SST meeting after the semester ended on January 14, 2011, or when Student continued to receive poor grades as the second semester progressed. 45. During the 2010-2011 SY, Student often told Parent that he was frustrated in school because he was unable to keep up, and at some point during the 2010-2011 SY, it was discovered that Student was smoking marijuana on a regular basis. In addition, Parent finally informed him that both of his biological parents had a history of serious substance abuse and this was extremely upsetting for Student. However, although Student’s marijuana use may have been a factor in his school problems, the evidence did not establish it as the primary cause. Rather, the evidence showed that Student’s deteriorating performance in the school was caused by his inability to cope in that environment due to processing difficulties and lack of focus caused by his ADHD, and possibly also due to ED. Although Parent followed through with most of the recommendations of the December 15, 2010 SST, the District appeared to do nothing different to address Student’s issues for several additional months. 46. On January 12, 2011, Student was again disciplined for defying authority. On February 4 and March 17, 2011, Student was disciplined for truancy. On March 22, 2011, in two separate incidents, Student was disciplined for defying authority and failing to appear for detention. On March 25, 2011, Student was disciplined for defying authority in his science class, as well as at lunch. He was suspended from class for two days, and also referred to teen court. On April 11, 2011, Student was suspended for two days because he was again defiant to a teacher and disruptive in class. 47. In April 2011, Student was reported to be failing in pre-algebra, science and English. He was also reported to be in danger of not matriculating to high school for the following school year. Finally, another SST meeting was scheduled for April 27, 2011. In preparation for the meeting, some of Student’s teachers again completed the teacher forms. Mr. Gover and Mr. Fidel did not. Ms. Hill and Mr. LaShua, as well as Student’s current prealgebra teacher, Shawn Rocha, reported the same areas of concern in academics and behavior as had been reported previously, with additional concerns in the area of behavior expressed by Mr. Lashua. These concerns closely mirrored Ms. Hill’s responses on the teacher form for Student’s December 2010 SST meeting. 48. Two of Student’s teachers, Mr. Lashua and Mr. Rocha, attended the SST meeting on April 27, 2011. Parent attended and presented the team with a written request for a special education assessment. There was very little testimony as to what transpired at that meeting, and it is unclear whether the SST meeting would have resulted in an SST referral for a special education assessment if Parent had not requested one. 49. Ms. Hernandez prepared an assessment plan that was sent to Parent on May 10, 2011. The District received the signed consent from Parent for the assessment on May 17, 2011. However, because only slightly more than two weeks were left in the 2010-2011 SY, the District’s assessment of Student for special education did not begin until the start of the 2011-2012 SY. 50. The 2010-2011 SY ended on June 2, 2011. Student’s grades for the second semester of the 2010-2011 SY were an A in RY, D’s in Pre-Algebra and PE, F’s in Science and English, and a C in Core. It is noteworthy that one of Student’s D’s was in PE, a class in which previously he did well. Mr. Gover commented on the report card that Student had worked below his ability. Student’s STAR scores from the eighth grade were “Far Below Basic” in ELA, History/Social Science, and Science. His score was Proficient in Math. 51. Although Student argued that class attendance was a major issue for Student in his eighth grade year, this was not established by the evidence. He only had four days of unexcused absences that school year. All disciplinary referrals for truancy were related to absences from Mandatorial, academic intervention programs, or disciplinary activities. 23 A continuation school is a school with smaller classes, which gives students who are behind on credits the opportunity to work at their own pace, and to catch up with peers academically. 24 Mr. Gallardo has worked for the District as a school psychologist since 2007. He has a bachelor’s degree from the University of California, San Diego, and a master’s degree in counseling from California State University, East Bay. He has had a PPS credential since 2007, and is also certified by the National Association of Psychologists. 25 Students with a diagnosis that might qualify them for eligibility under the ED category must have had symptoms that affected them in the school setting for a significant period of time. 52.Student attended summer school at Puente, a continuation middle school operated by CEO, presumably to make up credits. 23 He continued to exhibit poor behavior while there. 54. The IEP that was developed on September 22, 2011, contained goals in the areas of study skills and organization, career exploration, social-emotional, and reading fluency. It called for Student to have 30 minutes yearly of consultation in each of the following areas: college awareness and career awareness. In addition, he was to have two 20-minute sessions of counseling each month, and receive 55 minutes of specialized academic instruction each day. Parent agreed to the IEP and it was implemented, but Student did not experience success with this IEP at SBHS, as will be discussed below. 55. An assessment by CEO in 2012, and an IEE conducted at the same time as the CEO assessment, corroborated the results of Mr. Gallardo’s assessment. In addition, testimony of the neuropsychologist who conducted the IEE confirmed that Student had probably suffered from the SLD, OHI and ED for many years prior to being made eligible for special education at the September 22, 2011 IEP team meeting. 56. The District has made significant efforts to make parents aware of the IDEA notice of procedural safeguards, which states that parents and others can request a special education assessment if they suspect a child has a disability. However, it was unclear when, during the 2010-2011 SY, this information was first placed on its website, and that of the SELPA. In addition, notices advising parents about obtaining assessments for children suspected of having a disability are published annually in the primary Santa Barbara newspaper. 57. At the beginning of each school year the District gives parents written information stating that they may refer their children for special education assessments if they suspect their child may have a disability. At SBJHS, at the beginning of the school year, a student could not get his class schedule if his parent did not turn in a signed acknowledgement of receipt of this information. 58. The District’s child find efforts do not, however, appear to involve significant activity beyond making information available to parents. The IDEA requires not only that parents be informed of the availability of special education, but also that a district engage in active and systematic efforts to identify possibly disabled students, whether their parents are engaged or cooperative or not, or even if their parents cannot be found. A central part of such efforts is the law’s encouragement of special education referrals by school personnel. This requires a level of training and awareness that does not appear to exist in the District. 59. Although the District presented evidence of all the ways in which it and the SELPA communicated to parents about child find, the presentation of this evidence only serves as an attempt to shift the burden of referring a child suspected of having a disability for a special education assessment to his parent. This evidence does not immunize the District from liability for failing to see what was obvious by August 17, 2010, that Student’s academic and behavioral difficulties may have been rooted in his disabilities. The evidence that Student did not benefit from the multiple interventions from both the academic and behavior pyramids during the 2010-2011 SY confirms this. 26 Some professionals, such as speech and language therapists, may work in the public schools if they have a valid license from their own California licensing agency. 60. The evidence showed that District staff were inadequately trained in special education in general and child find in particular. In California, professionals who work in the public school system as teachers, counselors, school psychologists, or administrators, must possess a credential issued by the California Commission on Teacher Credentialing (CCTC). 26 As part of the teacher credentialing process in California, all prospective teachers take a course in which special education is discussed as part of the curriculum. After a prospective teacher or other education professional graduates with the requisite course work to apply to for a credential from CCTC, that individual receives a “preliminary credential.” In order to receive a “clear credential,” certain additional coursework/training must be completed within the next five years. In addition, once an education professional has a clear credential, there are continuing education requirements. 61. It appeared from the testimony of the SBJHS witnesses who possess CCTC credentials in areas other than special education that very little of this post-credential coursework and training had a special education component. Even more importantly, there was no evidence that any training was provided, either in the District or in continuing education courses provided by other institutions, that would help these District employees to determine that a student struggling academically or behaviorally could be suspected of having a disability and might need to be assessed for special education services, or that they could make such a referral at any time. 62. Immediately prior to, or at the beginning of the 2010-2011 SY, the District conducted a mandatory training for administrators such as school principals and assistant principals. A component off this training was a session on special education and child find duties of school personnel. There was no evidence that SBJHS administrators who attended this training ever provided this information to other school personnel. 63. There was testimony that District special education employees received monthly training sessions dealing specifically with special education issues. However, Ms. Escobedo testified that less than 15 minutes of these trainings for the 2010-2011 SY were concerned with child find. Ten teachers or administrators at SBJHS testified about child find. Most of them testified that they understood that the SST meeting was the forum in which a referral could be made for a special education assessment. However, even at the hearing, they seemed unaware that they, as education professionals, could have referred Student for a special education assessment at any time. 64. Many testified that if they suspected a child had a disability, they would consult with the student’s academic counselor, or the school psychologist or director of special education. Then, if appropriate, an SST meeting would be arranged. Unless a parent requested such an assessment, the SST process seemed to be the only other avenue staff at SBJHS knew was available for such a referral to be made. Even Mr. Stierens, who was the special education director during the 2010-2011 SY, and the assistant principal’s interim replacement the previous school year, testified to that. In fact, Mr. Stierens testified that it was important to give the intervention pyramids a chance to work, because not doing so would be “giving up on a child.” The implication was that referring a child for a special education assessment, rather than using every single intervention in the pyramid before doing so was akin to failure. 65. Ms. Bolton acknowledged that a teacher or other staff could refer a student for a special education assessment, but she testified that if she suspected a student had a disability she would consult with the school psychologist about the student, as that was not one of her areas of expertise. Only Ms. Kluss, who was never one of Student’s teachers at SBJHS but a member of the SST whose position was primarily clerical in nature, testified that she knew that, as a teacher, she could refer a student for a special education assessment at any time, and had done so in the past. 66. It is particularly troubling that at SBJHS, the teachers and staff relied almost exclusively on the flawed intervention pyramids for guidance when a student was struggling either academically or behaviorally. These pyramids may well be useful in supporting general education students. But there was nothing on either pyramid that guided school personnel in the direction of making a direct referral for a special education assessment for a struggling student, especially when the interventions on the pyramid did not seem to be working. Even more troubling was that even though many of Student’s teachers on the SST reporting forms reported that he was a distraction to others, and was distracted himself in class, no one at the SST meeting on December 15, 2010, connected that behavior with the fact that Student had a medical diagnosis of ADHD. Instead most of Student’s teachers seemed to attribute his academic struggles to a “lack of motivation.” This was true even when they testified at the due process hearing. 67. The District argues that it should not be penalized because “in hindsight,” it appears that Student did have a disability requiring special education. However, even before August 17, 2010, there was substantial reason for the District to suspect that Student may have been disabled, and should have previously had him assessed for special education. Its own 2004 assessment established that. Student’s second semester grades for his seventh grade year also showed he was on a downward trajectory, and having behavioral issues as well as academic issues. And as the 2010-2011 SY proceeded, Student continued on this downward trajectory that eventually led him to Juvenile Hall the following school year. 68. The District’s failure to consider the accumulating evidence in his seventh grade year, as identified above, that Student’s problems were related to his disabilities, clearly demonstrates that it failed to meet its child find obligations. And the evidence established that this failure, resulted in Student not having an IEP for the 2010-2011 SY, which denied Student a FAPE for the entire 2010-2011 SY. This evidence was bolstered by the evidence of what occurred during Student’s eighth grade year. Had the District assessed Student during his seventh grade school year and held an IEP meeting which identified him as requiring special education services, such as a period of individualized instruction, and this invention had been put in place, it seems likely that Student would have had a positive and productive eighth grade school year. Instead, the District did little to help Student during the 2010-2011 SY. This resulted in a denial of a FAPE, and entitles Student relief such as compensatory education which will be discussed below. 69. ALJs have broad latitude in fashioning equitable remedies for the denial of a FAPE, including but not limited to compensatory education, additional services to a pupil, and staff training. An award to compensate for past violations must be based on a factspecific assessment of the consequences of the district’s violation, and must be such that the aggrieved student receives the educational benefit he would have received, had the school district complied with the law. An award of compensatory education may, but need not, provide day-for-day compensation. 27 The proposed remedy is modified from those listed in the Order Following Prehearing Conference, and is based on the remedies proposed by Student in his closing argument that are applicable to this issue. Other requested remedies appear to be related to the second issue which is decided below. 70. Student has requested compensatory education for one hour after school in a one-to-one setting in the area of reading, utilizing a program such as Lindamood Bell, by someone certified in teaching such programs, and also trained in dealing with maladaptive behaviors according to peer-reviewed research-based interventions. 27 The District has teachers certified to teach the Lindamood Bell program, and uses the program with some students. 71. The evidence established that Student has deficits in the areas of reading fluency and comprehension. Using the September 22, 2011 IEP, which Student has not challenged, as a model, Student would have received 55 minutes each school day, approximately one hour, of individual instruction for the 2010-2011 SY. There were 180 school days between August 25, 2010, and June 2, 2011, the end of the school year. Therefore, Student is entitled to 180 hours of compensatory education. 72. Accordingly, the District shall provide Student with the compensatory education after school as requested, and during the extended school year. If District personnel cannot provide Student with the compensatory education in his current educational placement, or in a future educational placement, the District may choose a certified nonpublic agency to provide the compensatory education, and the District shall pay for this. The District shall also pay for related transportation costs. 73. Staff training may also be an appropriate remedy for a violation of the IDEA. An order providing appropriate relief in light of the purposes of the IDEA may include an award of school district staff training regarding the area of the law in which violations were found, to benefit the specific pupil involved, or to remedy procedural violations that may affect other pupils in the future. 74. The evidence in this case established that District personnel, even special education personnel, relied on the intervention pyramids used in general education to provide struggling students at SBJHS with interventions, rather than making referrals for special education assessments, when warranted. Further, Ms. Escobedo testified that other than the training of administrators at the beginning of the school year, and monthly trainings for special education personnel, there is no other special education training in the District, other than the training offered to beginning teachers. However, even the administrator and special education personnel trainings that have occurred in the past have spent very little time on the subjects of child find, and identifying students who might be suspected of a disability and require a referral for a special education assessment. Accordingly, the District shall be ordered to provide District personnel, including non-credentialed staff, with six hours of training to be conducted by qualified personnel, who are not employed by the District or the SELPA, in this area no later than September 1, 2013. 75. A school district cannot come to an IEP team meeting with a predetermined, “take it or leave it” offer of placement. To do so denies a parent meaningful participation in the IEP decision-making process. A parent has meaningfully participated in the development of an IEP when she is informed of her child’s problems, attends the IEP team meeting, expresses her disagreement regarding the IEP team’s conclusions, and requests revisions in the IEP. 76. Student began the 2011-2012 SY as a ninth grade freshman at SBHS in the District. As previously noted, an IEP team meeting was held on September 22, 2011, at which time the District’s assessments were reviewed, and Student was found eligible for special education. However, he continued to experience behavioral difficulties at SBHS. He was chronically truant, and engaged in other misbehavior as well. He continued to smoke marijuana. 28 Student may have been incarcerated at juvenile hall on more than one occasion. None of the witnesses or the documents admitted into evidence gave specific details of Student’s legal difficulties. 29 In June 2012, Student received a suspended expulsion from SBHS, and a plan of rehabilitation. A suspended expulsion is one where an otherwise expelled student is permitted to return to the school from which he was expelled once certain conditions have been met. Student was not to attend SBHS until January 2013, and he also had to comply with certain conditions for readmission. No evidence was presented as to the reasons for this suspended expulsion. 30 Since Parent had revoked her consent to special education in February 2012, and it did not appear that CEO had completed an assessment of Student, it was unclear how an IEP team meeting could legally be held. However, this was not an issue at the hearing. 31 Dr. Witt received his bachelor’s degree from University of California, Santa Cruz in 1984, his master’s degree in psychology from The New School for Social Research in New York City, in 1988, and his doctorate (Ph.D.) from the same institution in 1993. He then had a neuropsychology fellowship at St. Vincent’s Hospital in New York City, and became a resident in neuropsychology at Miami Diagnostic and Psychiatric Center in Miami Florida. Dr. Witt was also a clinical instructor at the University of California Neuropsychiatric Institute from 1998 to 2000. He is licensed as a clinical psychologist by the State of California. Dr. Witt has conducted many IEE’s as a neuropsychologist for the District and other school districts in the Santa Barbara County geographical area, as well as evaluations at the behest of other public agencies in the area. 32 Although Ms. Abney retired as principal of La Cuesta after 16 years in June 2012, she is currently continuing as principal there as a volunteer. There was no evidence as to her education and professional certification, but it is assumed that she does have the requisite education and professional certification for that position. 33 Parent waived the presence of a general education teacher from SBHS, as well as Mr. Prado’s attendance for the entire meeting. 34 Ms. Ledesma is a school psychologist with CEO. She has her bachelor’s degree from UCSB, and master’s degree in clinical psychology with a marriage and family therapy (MFT) emphasis although she is not licensed as an MFT. She has a PPS credential and is a member of the California Association of School Psychologists. Before coming to CEO she was previously school psychologist in Phoenix, Arizona. 35 The draft IEP consisted of pages from previous IEP’s. 36 Although Student argued during the hearing and in the closing argument that truancy was a longstanding issue for Student, the evidence showed that chronic truancy from class began after Student left SBJHS and began attending SBHS for the 2011-2012 SY. 37 Both the District and Student submitted recordings of the IEP team meeting as evidence, and both recordings were admitted (pursuant to stipulation of the parties), listened to, and considered by the ALJ. The District’s recording appeared to be the entire IEP team meeting following the introductions of the participants which was not recorded. Student’s recording was only the last 23 minutes of the IEP team meeting. 38 There was a brief break to allow some participants to move their cars from timelimited parking spaces. 78. When Student was sent to juvenile hall, responsibility for his education fell to CEO, which operated the high school there called Dos Puertos. While incarcerated, Student began to be medically treated for depression. Subsequently, Student was sent to another Santa Barbara County juvenile facility, Los Prietos Boys Camp (Los Prietos). At Los Prietos Student attended Los Robles High School (Los Robles), which was also operated by CEO. He was at Los Prietos for four months—discharged at the end of July 2012. During this time at Los Prietos, he continued to receive medication for his depression. 79. While Student was at Los Prietos, Parent asked CEO that he again be assessed to determine if he was eligible for special education, since she had previously revoked her consent for special education. CEO personnel would conduct this assessment. An “IEP” team meeting was held on June 22, 2012, and there was evidence that even though Student had not been eligible for special education since February 27, 2012, CEO was using the September 22, 2011 IEP as a model for his schooling at Los Robles. 30 At the IEP team meeting on June 22, 2012, convened by CEO, it was noted that another IEP team meeting would need to be held once Student was released from Los Prietos, as he would not be able to continue attending Los Robles after his release. It was unclear whether Student would then become the responsibility of CEO or the District, although Ms. Escobedo did attend the June 22, 2012 meeting, on behalf of the District. 82. The District convened an IEP meeting on August 14, 2012, because it was now responsible for Student’s education following release from Los Prietos. Attending the IEP team meeting of August 14, 2012, were Student, Parent, and Student’s attorney, Ms. Marcus; Ms. Escobedo, and Ms. Kellogg, on behalf of the District; CEO’s assistant superintendent and its four evaluators, and the CEO attorney; Dr. Witt; Student’s juvenile court probation officer; Ms. Abney; Mr. Gallardo, Tiffany Carson, head of the special education department, and David Meister, assistant principal, from SBHS. Victor Prado, one of Student’s teachers from Los Robles attended a portion of the meeting telephonically. 33 There were a total of 18 participants at this IEP team meeting. 83. The IEP team meeting of August 14, 2012, lasted more than three-and-a-half hours. The CEO assessment team reviewed its 39-page assessment. Mr Prado discussed Student’s progress at Los Robles. Dr. Witt discussed the recommendations in his assessment, and noted that there were many consistencies in his assessment, the CEO assessment, and Mr. Gallardo’s assessment from September 2011. 84. Mr. Prado reported that Student had done well at Los Robles and, in his opinion, Student thrived in an environment where lots of one-on-one attention was available to him. He also reported that Student had successfully participated in the Read 180 intervention curriculum in reading. Student was tested shortly before he left Puente summer school in August 2011, and scored far below basic on a Read 180 preliminary assessment. By the time Student left Los Prietos, he had risen to the basic reading level, actually just below proficient for his grade level which was deemed to be 10th grade (rather than ninth grade which was his 2011-2012 SY grade level). 87. The team discussed what would be the most appropriate category or categories under which to find Student eligible for special education and related services. It was decided that he would continue to qualify as a student with a SLD in the areas of reading fluency and comprehension, and math, specifically algebra, and that his diagnosis of ADHD also affected him. Further, difficulties in processing and depression also affected his attendance. However, Student would not be made eligible as a student with ED. 88. Following the discussion of eligibility, the team discussed having the IEP reflect Student’s current situation and current levels of performance, and identified areas in which goals were needed. Student’s attorney asked that certain specific items be included in the goals, and the team agreed that proposed goals would be sent to Parent with a final IEP to be considered for approval. 89. The IEP team then discussed placement options for Student. District personnel expressed an interest in transitioning Student to SBHS. It was suggested that Student be enrolled in an individualized instruction program (II) for one period, with two periods of reading instruction in the Read 180 curriculum. In addition he would take a history class that was offered which had a special education teacher available to work collaboratively with students who needed additional help with the class, and an algebra class for students struggling in math which would allow Student to complete his algebra requirements in three semesters rather than the standard two semesters, if necessary. In addition, he would participate in general education PE. Dr. Witt suggested a check-in with a counselor or teacher, or an aide during the first month at SBHS on a daily basis. 90. Ms. Abney, then talked about the program at La Cuesta. At La Cuesta, students are generally in the 11th and 12th grades, over the age of 16, and recovering credits so they can meet high school graduation requirements. According to Ms. Abney, the older students at La Questa have a better understanding than a 10th grader of the amount of work that is necessary to make progress there. Student, because he is now 16, could meet the California statutory requirements for attendance at a continuation high school, but many of the components that had been discussed as being available at SBHS, and that IEP team members, including Student’s attorney, had agreed were important if Student was to be successful, were not available at La Cuesta. 91. For example, the Read 180 program in which Student had been very successful at Los Robles, is not offered at La Cuesta. The reading program offered at La Cuesta is the 3-D reading intervention program. An IEP team member pointed out that this reading program is designed for English learners, and Student is an English-only speaker. Other problem areas at La Cuesta that were discussed concerned the level of special education staffing which consisted of only one special education teacher and a special education aide, and only one part time school psychologist present for just a day-and-a-half each week. 92. Following this presentation by Ms. Abney, several members of the IEP team said they needed to leave the IEP team meeting, so there was an attempt to try to schedule another IEP team meeting. However, Student’s attorney was not available until after the start of the school year two weeks hence. She suggested that Ms. Escobedo send her the proposed goals, at which point Ms. Escobedo made the verbal offer of the program at SBHS which consisted of one period of II, two periods of Read 180, and the previously discussed history and algebra classes. It was only then that it became apparent Parent was unwilling to have Student return to SBHS. 94. Ms. Kellogg stated that the District’s offer would be put in writing with the modified goals, as well as additional proposed assessments. Realizing that the District was offering placement at SBHS, not La Cuesta, Student stated that he would be willing to try SBHS. However, Ms. Marcus stated that she believed the proffered services could occur at La Cuesta. Parent became tearful, and Parent, Student and Ms. Marcus left the meeting without setting a firm date for a new IEP team meeting, although September 10 and 11, 2012, were suggested. 95. The evidence established that Parent, Student and Student’s attorney were active members of the IEP team on August 14, 2012. They made comments and asked questions of the participants, during the review of both the CEO assessment, and Dr. Witt’s IEE, as well as the discussion of eligibility, goals, and proposed placement. Based on the conversation amongst the participants during the meeting, there did not appear to be animosity between or among Student, his attorney, Parent, Dr. Witt, and the other team participants from the District, CEO, and Los Prietos until Ms. Escobedo made the verbal offer for placement at SBHS, 23 minutes before the meeting ended. Until that time, all of the IEP team members appeared to be comfortable making comments and asking questions, including Student, Parent and Student’s attorney. 39 It should be noted, however, that this is not a determination that the District made an offer of a FAPE, since this is not an issue to be decided in this case. 97. Ms. Escobedo was very hopeful that a follow up IEP team meeting could be held. When that did not appear to be possible, in part due to everyone’s schedule, Ms. Escobedo wrote a letter to Parent on August 24, 2012, with the final, revised IEP document enclosed which contained an offer of placement and services at SBHS, with all the components discussed as appropriate at the IEP team meeting of August 14, 2012. 98. The District’s written IEP offer took into consideration the fact that Student had, since the August 14, 2012 IEP team meeting, been re-incarcerated. Therefore, his education was now the responsibility of CEO. However, the offer of placement at SBHS discussed at the August 14, 2012 IEP team meeting, was described in the final IEP document from that meeting because it was anticipated that Student would be released from custody in a few weeks. Ms. Escobedo explained that even though Student had previously been expelled from SBHS, he still could attend school there pursuant to his IEP. 99. Ms. Escobedo’s persuasive testimony, and the District’s recording of the IEP team meeting on August 14, 2012, as well as the testimony of other witnesses who attended that meeting, make it clear that the offer of placement and services made then by Ms. Escobedo was not “take it or leave it,” as claimed by Student in both his complaint and closing argument. There was nothing to suggest that once the verbal offer was made on August 14, 2012, Ms. Escobedo could not, or did not, consult with Ms. Abney, the District’s attorney, or other team members to see if it would be possible to offer placement and services at a location other than SBHS. Further, the evidence established that Parent, Student, and his attorney were active participants at the IEP team meeting who were listened to, and whose suggestions were considered and often adopted as part of the District’s offer. The fact that the District offered placement at a location other than that preferred by Student is not a procedural violation, and the District, therefore, prevailed on this issue. 1. Under Schaffer v. Weast (2005) 546 U.S. 49 [163 L.Ed.2d 387], the party who filed the request for due process has the burden of persuasion at the due process hearing. In this case, Student filed for a due process hearing and therefore bears the burden of persuasion. 40 All references to the Code of Federal Regulations are to the 2006 version, unless otherwise noted. 6. Federal law, as well as California law, define an individual with exceptional needs as one, who, because of a disability requires instruction and services which cannot be provided with the modification of the regular school program in order to ensure that the child is provided a FAPE. (Ed. Code, § 56026, subd. (b).) However, a school district is required to refer a student with a disability for special education and related services only after the resources of the regular education program have been considered, and where appropriate, utilized. (Ed. Code, § 56303.) Therefore, when determined on a case-by-case basis, a school district may utilize the resources of general education before referring a child for a special education assessment. 7. Nonetheless, a school district’s pursuit of general education interventions may not be used to unreasonably delay the special education assessment process. (Johnson v. Upland Unified School Dist. (2002) 26 Fed.Appx. 689, 690-691 [nonpub. opn.].) A school district may still violate its Child Find duties by continuing to provide unsuccessful interventions rather than evaluating the child’s need for special education and related services. 8. A request for an initial evaluation to determine whether a student is a child with a disability in need of special education and services can be made by either the parent or a public agency, including teachers. (34 C.F.R. § 300.301(b).) A school district’s child find duties are not dependent on any action or inaction by parents. (34 C.F.R 300.111(a); Ed. Code, § 56301). Issue 1: From August 17, 2010, to September 22, 2011, did the District deny Student a FAPE by failing to find Student eligible for special education and related services? 11. Based on Legal Conclusions 2-10, and Factual Findings 1-68, the evidence established that the District failed to meet its child find obligation in regards to Student and thus he was denied a FAPE from August 17, 2010, to September 22, 2011. Although the District and SELPA did provide families with notices to encourage parents to refer children for assessment, in this case many education professionals at SBJHS who had contact with Student, ignored significant signs that he was struggling both academically and behaviorally. While it is not decided here that the District’s 2004 decision not to make Student eligible was wrong, at a minimum the information generated during that process was sufficient to put the District on notice that Student’s struggles may have been related to one or more disabilities. Instead of making a referral for a special education assessment, the District relied on general education interventions, even though it was soon obvious that those interventions were not working. Instead of referring Student for a special education assessment during the second semester of the 2009-2010 SY, when it was clear that Student was in serious trouble behaviorally and academically, the District placed Student in both Core and RY, its two programs at the highest level of the academic pyramid for the 2010-2011 SY. Then the District waited until December 15, 2010, to hold an SST meeting for Student, but instead of referring him for a special education assessment, it simply discussed additional general education interventions. The follow-up IEP team meeting recommended by the December 15, 2010 SST team, was not held until April 27, 2011, some four and one-half months later. Even then, it was Parent’s written request for assessment made at that meeting that finally caused the District to assess Student. The District’s delay in assessing Student for special education impeded his right to a FAPE and caused a deprivation of educational benefits for the entire 2010-2011 SY. As a result of the District’s failure to timely assess Student and find him eligible for special education, he continued to flounder and fail in school in the absence of special education and related services. This denied Student a FAPE, and entitles him to compensatory education. 12. Although the District argues that Student must affirmatively prove that there was a denial of FAPE for compensatory education to be awarded, the only legal authority cited by Student is another OAH case, Student v. Los Angeles County Office of Education and California Department of Mental Health, OAH Case No. 2010110301, issued February 11, 2011. In that matter, the student claimed that due to a recent governor’s executive order there was a delay in placing him in a group home as required by his IEP, and as a result he was denied mental health services required by his IEP. However, the ALJ deciding that case found that Student received more mental health services while he was in juvenile hall than were called for in his IEP, and therefore was not entitled to compensatory education mental health services. In the instant case, the evidence did establish that because an IEP for Student was not in place for the 2010-2011 SY, he was denied a FAPE and he is therefore entitled to compensatory education. Issue 2: Was the District’s IEP team meeting and resultant offer of August 14, 2012, a denial of a FAPE as it prevented meaningful parental participation by making a “take-it-orleave-it” offer of placement? 17. Based on Legal Conclusions 10 and 13-16, and Factual Findings 75-99, Student did not establish that the District committed a procedural violation by making a “take it or leave it” offer at the IEP team meeting of August 14, 2012. The evidence established that there was open discussion among the team members. The participation of Student, Parent and Student’s attorney was encouraged, and did occur. Suggestions of Parent and Student’s attorney were incorporated into the proposed IEP. There was no evidence of any predetermination by the District when it made its verbal offer on August 14, 2012. In fact, an offer was only made at that time because it became apparent that the IEP team could not reconvene before school started, and Student needed to attend school as a condition of his probation, so it was necessary for the District to make an offer. 18. ALJ’s have broad latitude to fashion equitable remedies appropriate for a denial of a FAPE. (School Comm. of Burlington v. Department of Educ. (1996) 471 U.S. 359, 369-370.) School districts may be ordered to provide compensatory education or additional services to a pupil who has been denied a free appropriate public education. (Student W. v. Puyallup School District, (9th Cir. 1994) 31 F.3d 1489, 1496.) The conduct of both parties must be reviewed and considered to determine whether relief is appropriate. (Ibid.) These are equitable remedies that courts may employ to craft “appropriate relief” for a party. 20. Based on Legal Conclusions 11-12 and 18-19, and Factual Findings 69-72, the evidence established that, to remedy the District’s child find violation, which prevented Student from receiving a FAPE for the entire 2010-2011 SY, Student is entitled to 180 hours of compensatory education services to address reading issues. These services shall be provided by either the District, or a certified NPA of District’s choice, and shall be provided even if Student is no longer attending school in the District. The District shall provide Student with transportation to access this compensatory education, if necessary, or reimburse Parent for transportation costs. 21. Staff training is an appropriate remedy; the IDEA does not require compensatory education services to be awarded directly to a student. An order providing appropriate relief in light of the purposes of the IDEA may include an award of school district staff training regarding the area of the law in which violations were found, to benefit the specific pupil involved, or to remedy procedural violations that may benefit other pupils. (Park, supra, 464 F.3d 1025, 1034 [ student who was denied a FAPE due to failure to properly implement his IEP could most benefit by having his teacher appropriately trained to do so]; Student v. Reed Union School District, Cal.Ofc.Admin.Hrngs. Case No. 2008080580 [requiring training on predetermination and parental participation in IEP’s]; San Diego Unified Sch. Dist. (Cal. SEA 2005) 42 IDELR 249 [105 LRP 5069] [requiring training regarding pupil’s medical condition and unique needs]. 22. As established by Legal Conclusions 11-12 and 18-19, and Factual Findings 73-74, the District’s continuing failure to meet its child find obligation during the 2010-2011 SY, as it pertained to Student, was egregious and involved many of its educators. The evidence established that most District personnel had not received significant child find training since they obtained credentials. And even those who had recently received that training still had mistaken ideas of what their individual obligations were as educational professionals as they relate to the District’s child find duties. Accordingly, it is appropriate to order training for District staff, as detailed in Factual Finding 74. 1. District shall provide Student with 180 hours of compensatory education to be completed no later than June 30, 2014. This compensatory education shall be one-to-one tutoring or instruction in the area of reading fluency and comprehension, in a program such as Lindamood Bell, and which complies with the specifics in Factual Finding 72, and includes transportation. 2. The District shall provide staff with six hours of training in the area of child find no later than September 1, 2013. This training shall be provided by qualified individuals who are not employees of the District or the District’s SELPA, as specified in Factual Finding 74. Education Code section 56507, subdivision (d), requires that the hearing decision indicate the extent to which each party has prevailed on each issue heard and decided. Student prevailed on the first issue, and the District prevailed on the second issue.